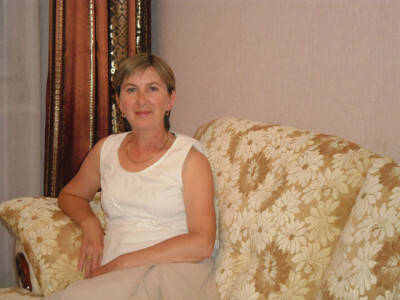 Nadezhda was born in Siberia in a small beautiful town of Mezhdurechensk in 1959. Her mom was a housewife and her father was a watch repairer. When Nadya was 12 years old her parents decided to move to Kazakhstan. Soon after they moved, Nadya’s father got sick and died. Her mother had to take care of Nadya and her brother all alone. Nadya had to help her mother. She had to cook and take care of the house while mother was working. After she finished school she entered the University and after she graduated, she started working as a teacher. Nadya has two children and three grandchildren. She is a grandma of three handsome boys. She loves cooking for them different tasty meals. This entry was posted on Wednesday, October 22nd, 2014 at 3:33 pm	and is filed under Our Grandmas. You can follow any responses to this entry through the RSS 2.0 feed. You can skip to the end and leave a response. Pinging is currently not allowed.